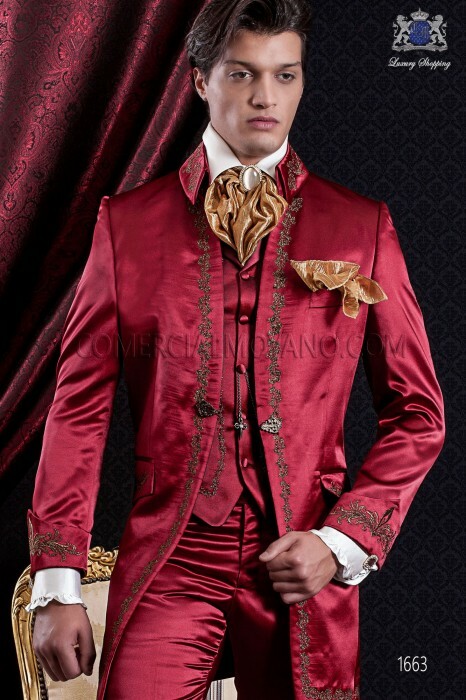 Italian boyfriend Baroque costume satin fabric red with gold embroidery. 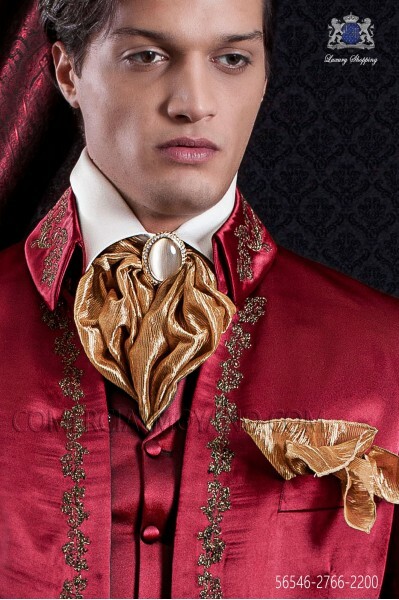 > Collections>Themed weddings>Baroque>Redingote frock coat>Red redingote>Red redingote> Groomswear Baroque. 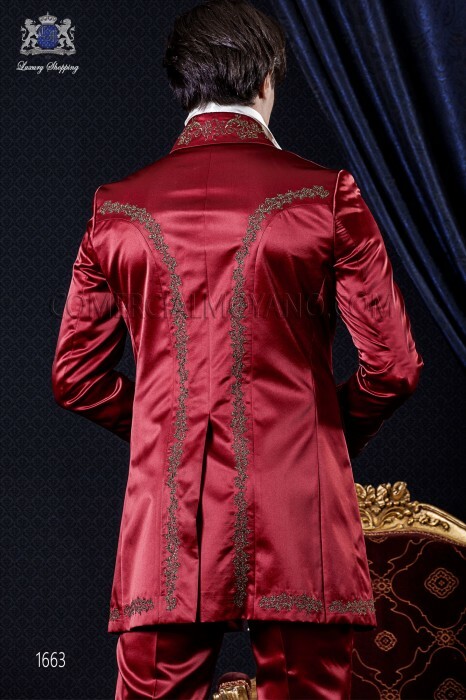 Vintage suit jacket in red satin embroidered with gold colored yarns. 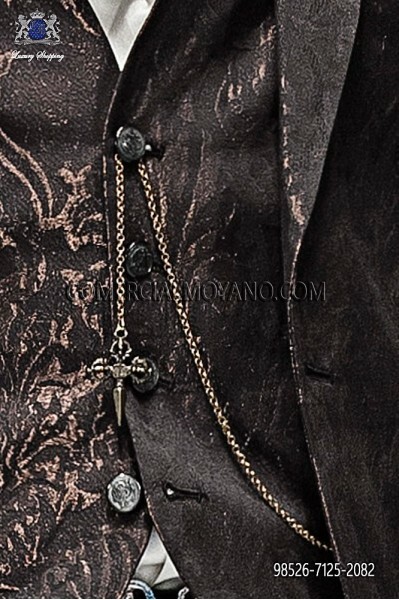 Groomswear Baroque. Vintage suit jacket in red satin embroidered with gold colored yarns. 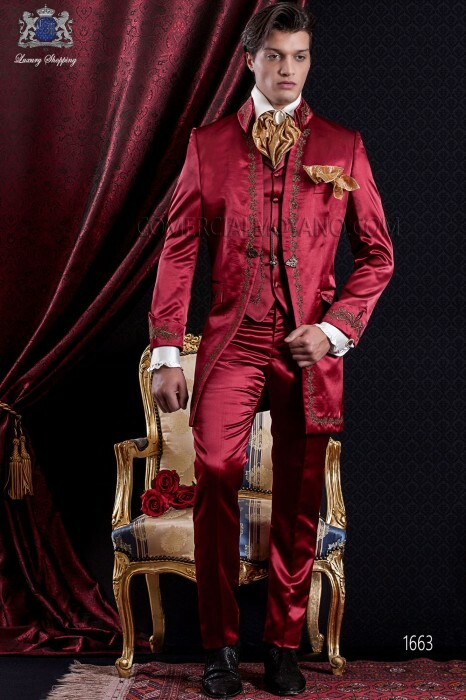 Baroque wedding suit made of fabric and yarns red satin embroidered in gold. This is a vintage dress jacket turtleneck model and matching cuffs, which have been embroidered by a traditional process using spinning gold. Carlos Hernández (24/02/2017): Groomswear Baroque. Vintage suit jacket in red satin embroidered with gold colored yarns. - Muchas gracias por todo! El traje me sienta perfecto! 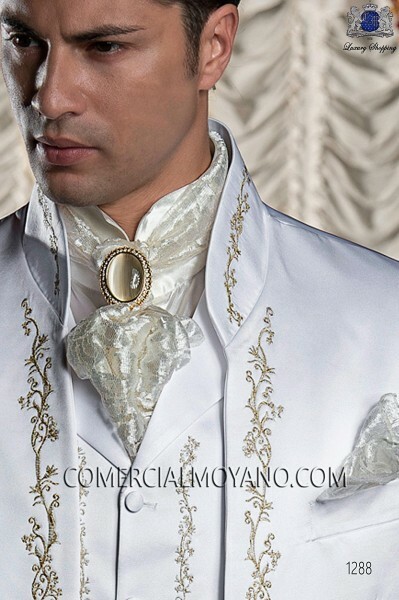 Jorge Cardenas (14/06/2016): Groomswear Baroque. Vintage suit jacket in red satin embroidered with gold colored yarns. 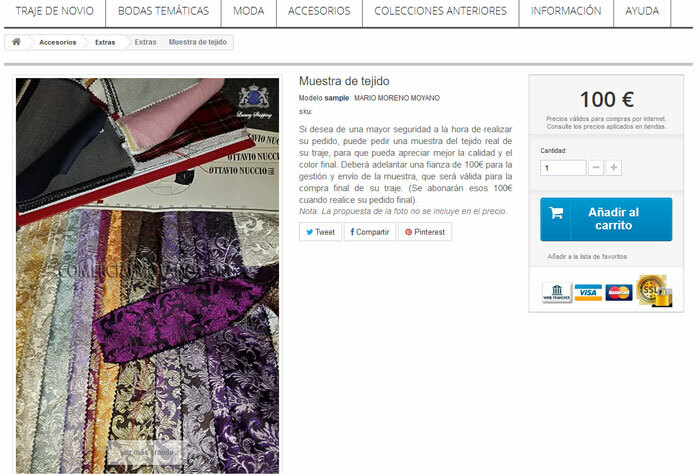 - Tienda muy recomendable, gran trato y servicio. Paul Beckett (17/05/2016): Groomswear Baroque. Vintage suit jacket in red satin embroidered with gold colored yarns. 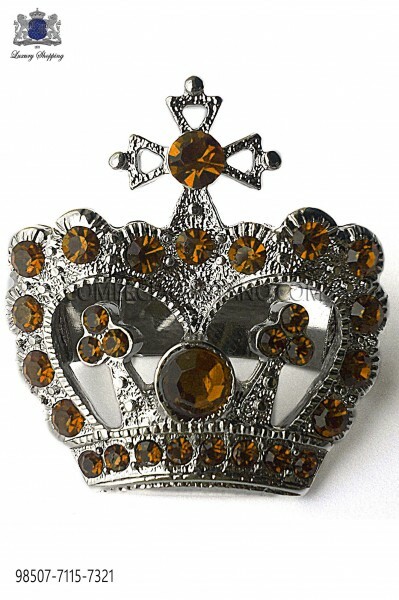 - Good service, thanks for all! Wilhelm Günther (08/12/2015): Groomswear Baroque. Vintage suit jacket in red satin embroidered with gold colored yarns. - Bestellung ohne Probleme geliefert, alles ok danke! 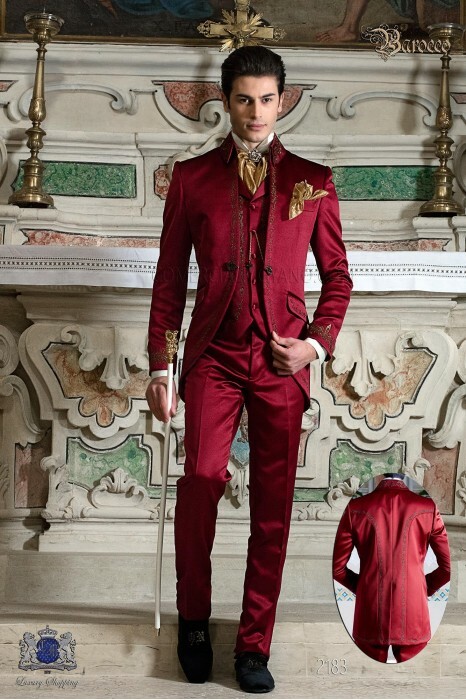 Pierre Babonneau (05/06/2015): Groomswear Baroque. Vintage suit jacket in red satin embroidered with gold colored yarns. - Je l'aime !! This Baroque coat the present coordinated in a combined 3-piece set includes: coat, pants and vest of 5 covered buttons, satin fabric red with gold embroidery. 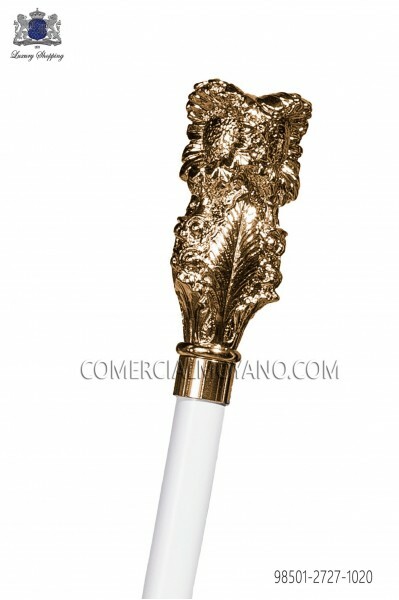 The latter is very important for the ceremony, can carry the open coat and give more glamor to the whole perception. 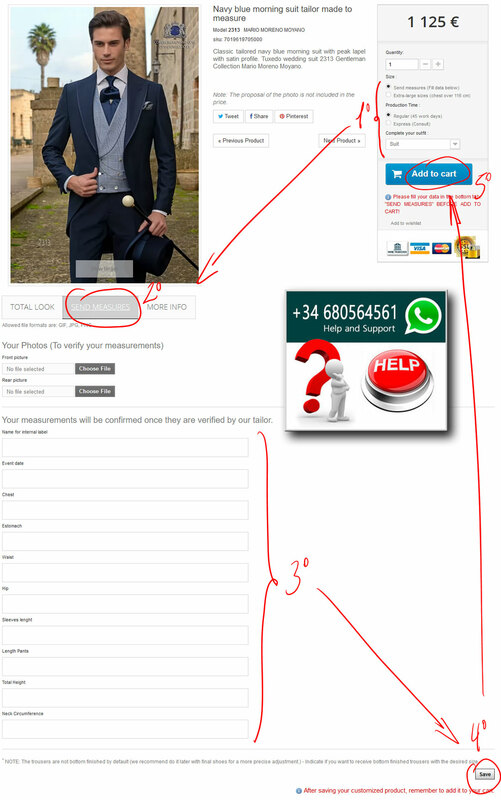 Any of these items can be added by selecting the "Total look" tab.